This is my Switch case. You can’t buy it anymore, and its breed is an endangered species. Nintendo’s sold a lot of Switches, so it’s not surprising that there are a lot of Switch carrying cases out there to buy. In fact, I just scrolled through 15 (!!) 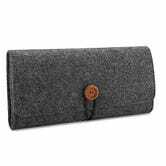 pages of them on Amazon, and found hardshell cases, softshell cases, cases that probably violate copyrights, cases with space for the Switch dock, and even trendy linen cases. But every single one of them had one thing in common: they were all designed to fit the Switch with the Joy-Con attached. 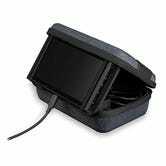 If you want to store your Switch with the Joy-Con attached, be my guest. There are certainly virtues to that decision, and I’m not writing this to pass judgement. 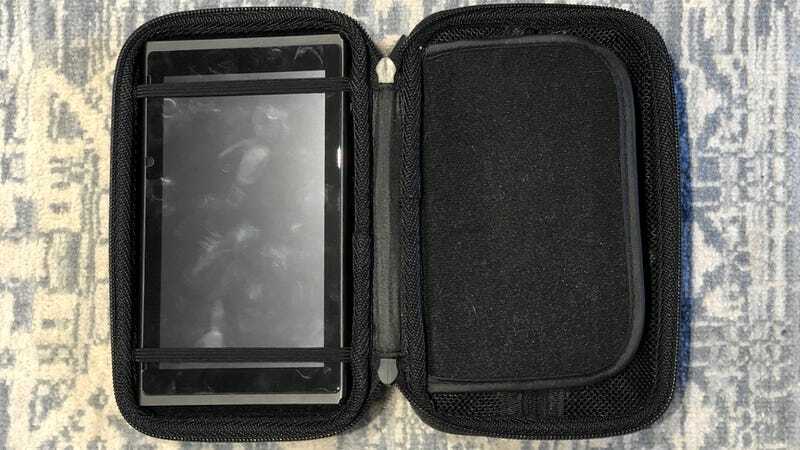 But I prefer a smaller case that takes up less room in my bag, and detaching the Joy-Con and stashing them in the case’s storage compartment allows the whole thing to be significantly shorter, without adding much thickness. 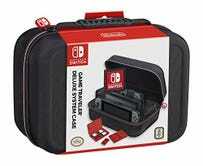 I bought a case like this last year when I got my Switch, and it’s no longer sold. I distinctly remember there being many other options like it at the time. They’re seemingly no longer available either. 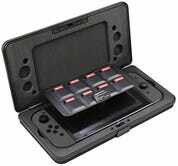 The Switch carrying case cottage industry seems to have totally homogenized around Joy-Con-on cases. After much research, I did find a single PDP case that’s designed to hold the Switch with the Joy-Con detached, and it even doubles as a kickstand, but it looks a fair bit thicker than the case I own now. 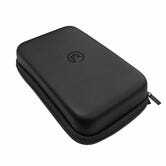 Still, if I had to buy a new Switch case today, I guess this is what I would get? If you see an option that I missed, please drop it in the comments! Update: Here’s another option from commenter ThisIsMenchi. It’s thinner, but doesn’t include a kickstand. I was lucky to buy my case when I did, and I can’t help but feel a little sad for new Switch owners being railroaded into buying an unnecessarily large case. I assume that longer Switch cases sold better than short ones in the early days of the Switch, and manufacturers reacted accordingly. I’m not saying this is some kind of conspiracy. But surely I’m not the only person that feels this way? Is there nobody else out there that’s upset about this?